Unearthed and Newcrest Mining, and Core Resources and Mineral Technologies have won the METS Ignited Collaboration Award in 2018 after judges were blown away by the calibre of their entries. 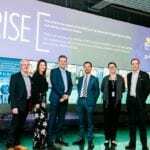 Newcrest Mining and resources-focused collective Unearthed have been chosen as a winner for their launch of an automated online platform the Newcrest Crowd. The online channel pools the knowledge of the resources industry as a way to solve challenges. One of the two challenges was tailings inefficiency at Newcrest’s Cadia gold mine. The platform has attracted 750 predictive model solutions from 12 countries. On the other hand, fellow award winners Downer’s mineral process engineering business Mineral Technologies and resources consultancy Core Resources have impressed the judges with their development of the Toowong Process. The two-year, $2 million program was invented by Core Resources in 2010 as a novel leaching technology that removes arsenic at the mine site and enables its safe and stable disposal on-site. 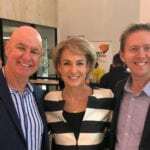 The project has received a $1 million grant from the Australian Government. The Collaboration Award, announced at the IMARC gala dinner in Melbourne last week, is in its third year. 2018 is the first year that two winners were chosen. METS Ignited chief executive Ric Gros said, “In order to remain successful and competitive on a global scale, collaboration is vital amongst Australian organisations operating within the diverse and fast-moving mining sector. Global gold output is expected to grow to a record 109.6 million ounces by the end of 2019, according to S&P Global data.